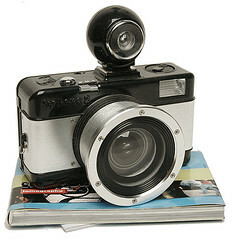 Each of the two models of fisheye lomography camera is as 35mm compact camera with a fisheye lens. 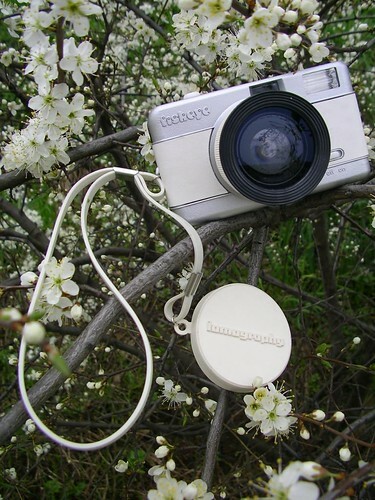 It is manufactured for Lomographische AG, and is marketed as a toy camera. It may also be a good cheap test camera for people who do not know if they really need a super-wide-angle lens with barrel distortion. An AA battery is needed for the flash. The lens can be removed and adapted for use on an SLR. 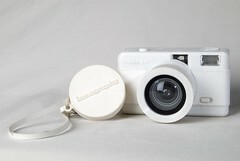 The developed Fisheye camera with new looks, shutter for bulb as well as 1/100 sec, and hot shoe. The aperture is fixed at f/8. 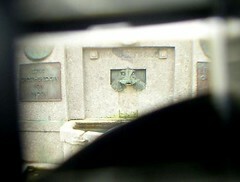 The camera has an angle of vision of 170 degrees, and a focal length of about 10mm. Dimensions are 10.5×6×6cm and weight is 0.23kg. ↑ Will Goldstone, "DIY Fisheye: Digital Lomo Wide Angle", part 1 (7 July 2008), part 2 (8 July 2008), both at willgoldstone.com (archived). 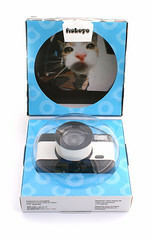 ↑ Fisheye No.2 35mm Specifications at Lomography.com. This page was last edited on 6 March 2018, at 11:43.